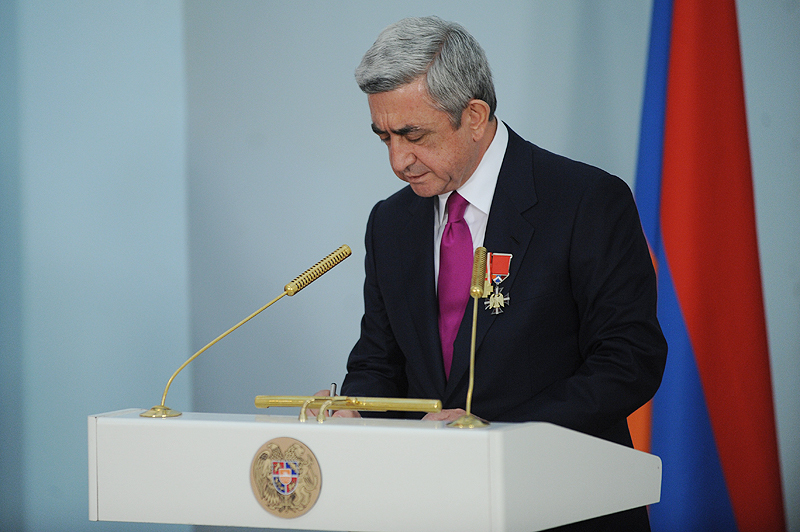 Today, when President Serzh Sargsyan assumes the office of President of the Republic of Armenia, in accordance with paragraph 4 of Article 55 of the Constitution he accepted resignation of the Government of the Republic of Armenia and signed the pertinent decree. 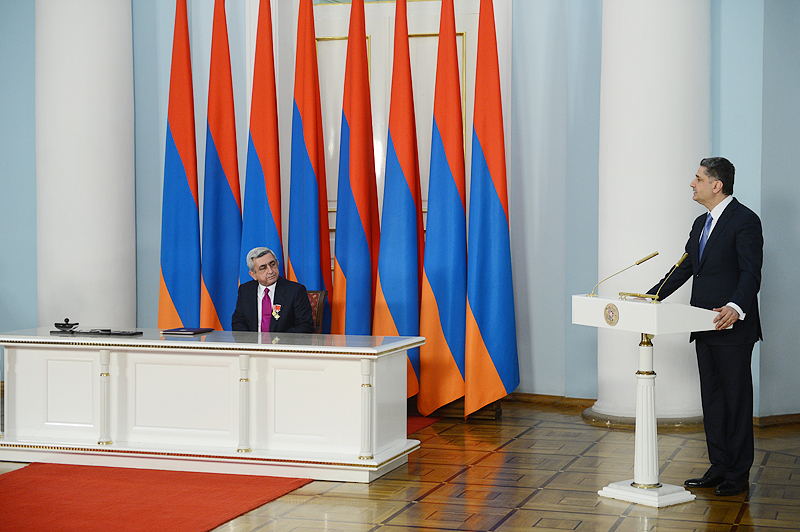 The letter of resignation was presented to the President of Armenia by Prime Minister Tigran Sarkissian. 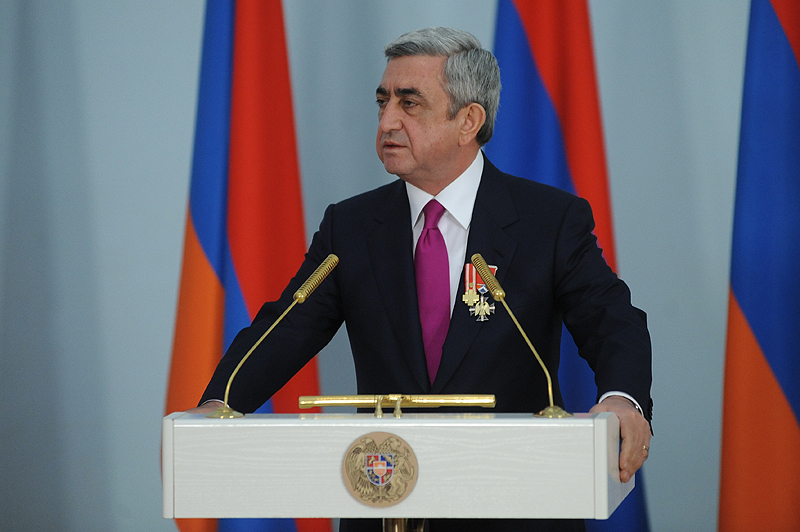 Before presenting the letter of resignation, the Prime Minister congratulated President Serzh Sargsyan on assuming the second term of his Presidency and underscored that for him personally and the government led by him, as well as for any political and state figure it is a great honor and contentment to serve the people on these high positions and to work with the President of Armenia. Tigran Sarkissian noted that under the political leadership of the President of Armenia, the team has been working with dedication all these years and has been trying to fulfill every task set by the President. “Certainly, we’ve had difficult times; there’s been not only success but also failures and mistakes. Mr. President, the best adviser of the future is the past. 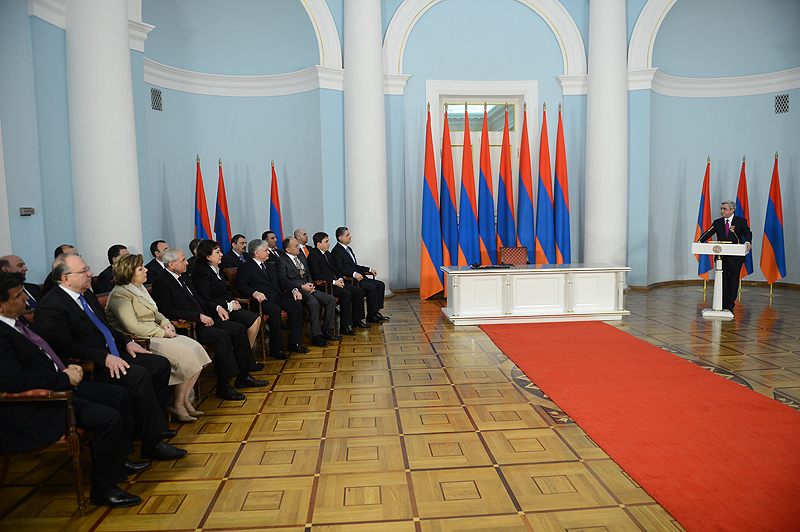 Your entire career, your experience and knowledge, your personal qualities are the guarantees which inspire us with confidence that our state will move forward and we will mark new achievements and new victories,” Prime Minister Tigran Sarkissian said in his remarks. The President thanked the cabinet members who rendered their resignation for the efficient cooperation and noted that they have evidently been working under difficult conditions, in many cases have managed to solve seemingly insoluble problems, withstood challenges, and all this is commendable. 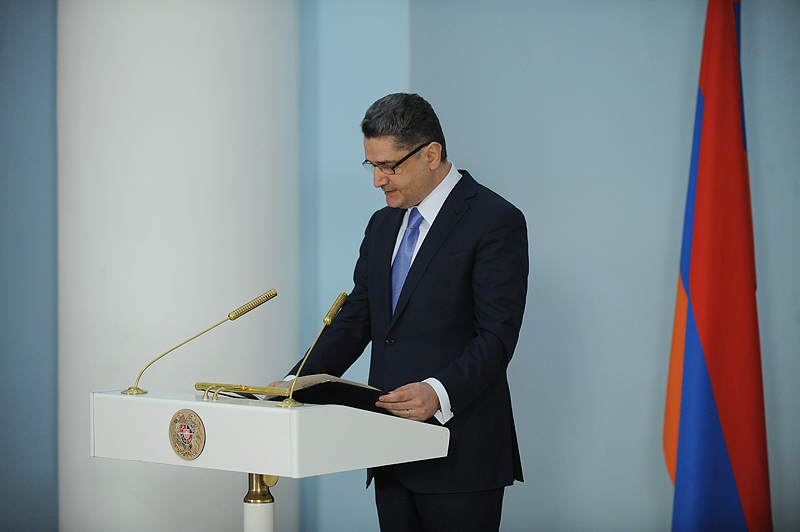 “Irrespective of who will be working in the new government, you have served the Armenian people and I am confident that will be serving till senility, because this calling – to serve, cannot be temporary, because for you, for us all to serve means to live. I thank you and want every one of you to know that regardless of all assessments, you have created favorable conditions for the new government. 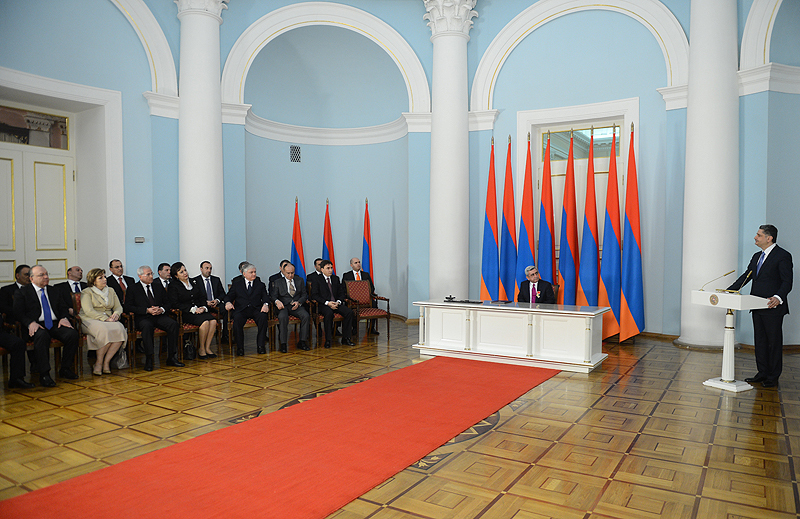 I am confident that the new government of Armenia will carry on with your best traditions and will undoubtedly fulfill tasks set before it and these tasks are plenty. 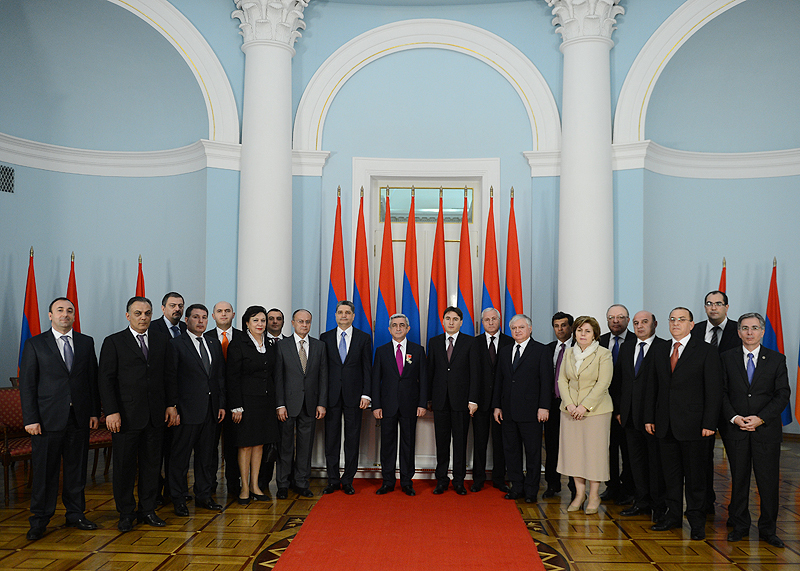 I once again thank you and wish you all the best,” President Serzh Sargsyan said.